What Do Reiki Sessions Feel Like? Your Reiki session will be conducted in a dimly lit relaxing space with soft music. Your practitioner will ask you to lie down on your back on a massage table with soft comfortable sheets (you don't have to undress, just take your shoes off, please). You can cover yourself with just a sheet or a sheet and a light blanket and get comfortable. The doctor will place her hands on different parts of your body, usually starting with your head and proceeding down to your feet. Hand placement is generally very light and gentle, and the doctor may keep her hands in the same area for quite a while, for over 10 minutes in some cases. 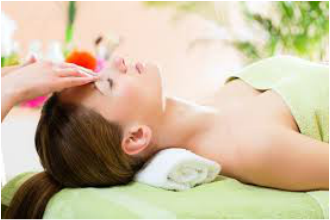 There is no pressure, as Reiki is very different from a massage. You may later be asked to turn over onto your stomach, and the practitioner will continue placing her hands on various parts of the body, usually starting with the upper body and going downward. At the very end of the session, the practitioner may move her hands on your back and legs in a brush-stroke-like and light patting motion. Everyone has a unique experience during Reiki. You will have time to share your experience with the doctor after the session. Although every client's experience is different, most clients feel a sensation of warmth, feel more relaxed and even fall asleep during the session. Many clients report that symptoms that were bothering them before are less noticeable after the session. On occasion, a client may feel the energy of the practitioner's hands even after she moved her hands to a different area of the body. Clients often report a different sensation on the right and on the left side of the body, which is normal. Overall, Reiki sessions feel very balancing. Reiki helps us feel our best in our body, mind and spirit. It is quite incredible, how profound a Reiki experience may be. The whole process feels very supportive, allowing you to relax, gain clarity, feel empowered, and feel better overall. What Do Reiki Sessions Include? All sessions with Dr. Danilychev are a comprehensive wellness experience that includes a brief personalized consultation traditional Japanese Reiki. It is important to remember that although the vast majority of our clients report significant improvement in their physical symptoms, as well as report feeling better on an emotional level, Reiki does not diagnose or treat any medical or psychological condition, and at San Diego Reiki Dr. Danilychev is only acting as a Reiki Practitioner and not as your treating physician. ​Intuitive Guidance is an integral part of your sessions with Dr. Danilychev, and it can help you rediscover your true self. It helps you let go of the emotional and spiritual burdens, allowing you to focus on the present. Intuitive guidance is not the same as psychotherapy, it is just as the name implies, intuitive, common-sense, and natural. While no psychotherapy is provided, many people feel that that intuitive support helps them on a profound level. ​Dr. Danilychev will help you focus on the positive, reigniting your internal potential while helping you see yourself with more love and compassion. Wellness Advice by Dr. Danilychev is very gentle, yet very focused and highly individualized. Her wellness suggestions are derived from her expertise in Western Medicine and from the Reiki session itself (based on the Reiki perspective on your energy flow). It is important to remember, that no diagnosis or treatment is implied, and wellness suggestions by Dr. Danilychev are for educational purposes only. 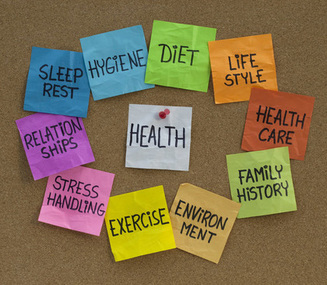 You should always consult your doctor regarding your health and wellness concerns. ​Dr. Danilychev also uses practical knowledge and intuitive awareness in her consultations. A lot can contribute to one's wellness, and Dr. Danilychev utilizes all of her expertise to help you feel your best. If you have no previous experience with Reiki and wish to meet the doctor first, book our Free 30-minute consultation. Shorter sessions (45 minutes to an hour) are only recommended for a quick follow-up for minor specific concerns that are not long-standing. 60-minute sessions are great for regular follow-up and wellness maintenance. Longer sessions (90 minutes or more) are suggested for more in depth Reiki experience and for chronic, complex or multiple health/wellness issues or concerns. After you schedule your first appointment, you will receive an email confirmation from our booking service with your upcoming appointment information. You will also get a reminder email and text message the day before your visit with us. Please make note of our address and other appointment details when you get the email. ​We have a 24-hour notice cancellation policy for Reiki and Wellness sessions. There is a $100 'No show' fee for all sessions. We would rather not have to charge you, so please do notify us if you have to miss an appointment. You can cancel or reschedule directly from your confirmation email or by calling 858-333-5988. ​Please wear comfortable clothing. Avoid wearing bulky items. Consider wearing something that will help you feel relaxed as opposed to constricted when you are lying down. Garments with smooth back are recommended. Consider wearing layers, so that you feel as comfortable as possible temperature-wise. ​Our office is conveniently located in UTC. We are right at the heart of the Golden Triangle (between 805, 5, and 52 FWY), near the UTC mall. There is plenty of free parking next to our building. If you arrive early, take the time to enjoy the ambient music by the pond behind our building. ​When you arrive, expect to see a friendly face of one of our receptionists greeting you in the waiting area. Our reception staff will offer you water, tea or coffee. Please make yourself comfortable, and take a moment to relax in our waiting area while the doctor is setting up the room for your Reiki and wellness experience. If you have a weekend or an evening appointment, the building doors may be locked, but don't worry, we are open. Just call or text 858-333-5988 and we will unlock the door for you. We appreciate your patience and can't wait to see you! How Often Should I Get Reiki? After the your first Reiki session, the doctor will be able to recommend follow-up session duration and frequency of visits. Generally, at least three to five consecutive sessions are recommended; however, all recommendations are individualized and personalized based on each client's needs. If several sessions have been recommended for you, consider getting a Reiki package or take advantage of our Wellness membership. ﻿"Don't think of Reiki as a massage. Think of Reiki as a mind-body-energy version of Physical Therapy. One session may do wonders, but you really need consistent follow-up until a problem is resolved to get the best results." Q: I just booked an appointment, what happens next? A: You will get an email confirmation with your appointment details, including our address and anything you need to know before you come in. You will also receive a reminder email and text message 1 day, and 1 hour before the appointment. Q: What if I need to cancel or reschedule my Reiki session? A: You can cancel or reschedule your appointment directly from the confirmation email up to 24 hours in advance. There is a $100 fee for no-shows and for all appointments cancelled or rescheduled with less than a 24-hour notice. No exceptions. Please give us a call or email is if you are not able to make it. A: Cash payments are preferred, but we also accept major credit cards (Visa, MasterCard, Discover, American Express), San Diego Reiki gift cards and gift certificates, and PayPal payments. Personal checks are also accepted from established clients. Q: Do I have to tip for Reiki services? A: Tips are not required. It is completely up to you. Q: What happens if I have an appointment late in the evening or on the weekend? How am I going to get into the building? A: If the building or suite doors are locked, don't worry, simply call 858-333-5988 and Dr. Danilychev will let you in. Please be patient as it may take her several minutes to come and get you. If you get voicemail or answering service when you call, don't worry, the doctor will be notified of your arrival immediately. Q: I am here for my appointment and just called the 858-333-5988, but got an Answering Service/Voicemail. Does this mean the office is closed? A: If you have an appointment and reached our answering service or voicemail, don't worry, Dr. Danilychev is expecting you and will get notified immediately of your call. She will be there to greet you. Q: Can I send text messages to 858-333-5988? A: Our office line does does not receive text messages. Q: Can I don't have an appointment. Do you accept Walk-Ins? A: Our All sessions are by appointment only. You can book an appointment anytime at www.SDreiki.com up to 24 hours in advance. Q: I am just discovering that there are different styles of Reiki. Is Jikiden Reiki better than other styles? A: Jikiden Reiki is the most pure, the most traditional form of Reiki you can find. It has been maintained in its original form by the Jikiden Reiki Institute in Japan. It is not better or worse, it is simply as close to the original Reikias you can find. ​Q: What if I need to cancel or reschedule my Reiki class? A: You can cancel or reschedule your class directly from the confirmation email up to 14 days in advance. There are no refunds for no-shows and for all classes cancelled or rescheduled with less than a 14-day notice. Please call 858-333-5988 or email healing@sdreiki.com if you are not able to make it. Q: My class is on the weekend. How am I going to get into the building? Q: I am here for my class and just called the 858-333-5988, but got an Answering Service/Voicemail. Does this mean the class is cancelled? A: If you have registered for a class and have reached our answering service or voicemail on the day of your class, don't worry, Dr. Danilychev is expecting you and will get notified immediately of your call. She will be there to greet you. A: No, our office line does does not receive text messages. Q: Can I join the class without registering first? A: Official online registration is required. Class registration is available on our website for up to 24 hour hours before the class start time. 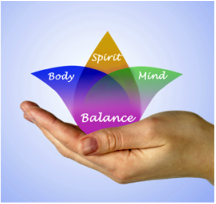 A: Reiki can help you relax and restore the natural balance in your body. It can help you feel better physically, emotionally and spiritually. It can help you feel more grounded and better connected to your inner self. A: All of us use touch for healing without even realizing it. What do we do when we have a headache? We instinctively put our hand to the forehead. What do we do when we have a stomach ache? We instinctively keep our hands where it hurts. We do that even for emotional pain. This is our natural reaction to suffering and discomfort. Although this instinct might not "cure" the problem, it does help us feel better. After all, it has become our natural instinct for a reason. Q: What is Reiki based on, as a concept? A: The concept of Reiki is simple. It's using universal energy to enhance a person's own self-healing ability. We all have this incredible ability to self-heal. Although our bodies heal themselves, sometimes we need a little help for the self healing to take place. This help can come in the form of medications and procedures as in Western Medicine, or in the form of energy rebalancing as with Reiki and some of the other non-Western healing arts. ​Q: Is Reiki a religion? A: No, Reiki is not a religion. Reiki practitioners follow the 5 principles of Reiki, but those principles are not religious in any way and they can be helpful to any person from any religious background: "Just for today, don't get angry, don't worry, be grateful, do your best, be kind." Q: Is there any scientific evidence that proves that Reiki actually works? A: Although there is no strong scientific proof of the effectiveness of Reiki yet, there is also no scientific evidence that Reiki doesn't work. There has been a number of clinical research studies evaluating Reiki and other non-traditional and non-Western treatment modalities. Based on complicated scientific analysis of the available studies, it is not possible to draw a solid scientific conclusion about the benefits of these treatments. So, purely from a scientific perspective, one cannot make a definite statement for or against Reiki and its effectiveness. With that said, it is not unusual in a Western medicine practice to use treatments that have the same level of evidence of effectiveness as Reiki. In fact, doctors do it every day. In a practical sense and from actual experience, the majority of people who get Reiki find it very helpful. Q: Can Reiki be harmful? A: There have been no studies that have demonstrated any harm from Reiki. Q: Is Reiki simply a placebo effect? A: Placebo effect occurs when the benefit from treatment can only be explained by the person's belief that it will help. It may be contributing to Reiki effectiveness, but it is no different from the placebo effect that is present in the use of all medications and other Western medical treatments. Clinical research studies that demonstrate effectiveness of Western medical treatments that are currently in daily use often show only a few percentage points higher effectiveness of treatment compared to placebo. Although beneficial effects cannot be guaranteed, there is no harm in using Reiki, and if it helps you in some way, why not take advantage of it? Q: Is Reiki a scam? A: Just like with any medical or holistic treatment or service, it is important to do some research about the field in general, about the service and about the doctor. Just to put it in perspective, our provider is not only a Reiki practitioner, but she is also a fully qualified practicing Western medicine physician with high professional integrity. She would not be doing Reiki if she didn't feel that there was 'something to it'. Obviously, we cannot speak for all Reiki practitioners in the world, as some may call themselves Reiki masters, but may lack proper training in the field. Fortunately, it doesn't take much to figure out who you can trust and who may not be as trustworthy in the holistic community. The bottom line is that Reiki has been very effective for so many people, and the only way to decide whether or not you believe it works is to meet the practitioner and to try it for yourself. ​​We hope this helps answer some of your questions about Reiki. Please do not hesitate to call us at 858-333-5988 or email us at ﻿healing@sdreiki.com﻿ if you have any other questions! We are here for you and we hope that you will be more than satisfied with our services!